The unlkely career resurgence of Pierre Carl Ouellet took another amazing turn when he signed a deal with Ring of Honor just a few weeks shy of his 51st birthday. 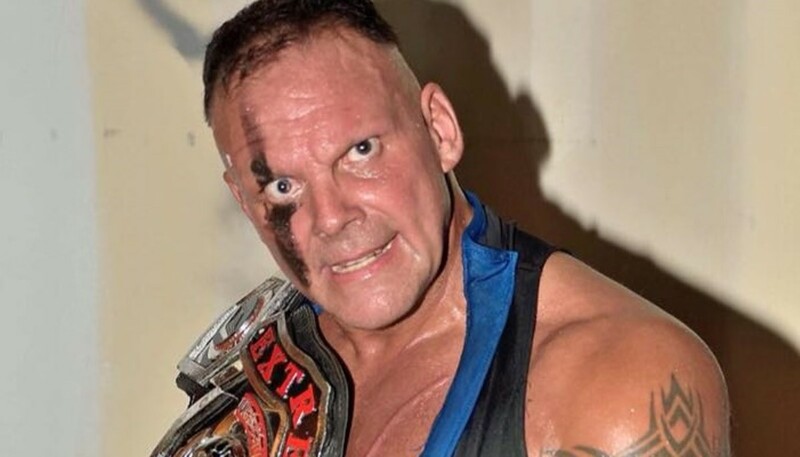 I recently talked with the man known as PCO about his wrestling career revival, the ROH deal, how his life has changed, and more. You can check out Monday Night PCO with he and Destro on Facebook and Twitter every Monday at 7 PM Eastern as well as a shorter talk he did with Bryan Alvarez and Mike Sempervive on Wrestling Observer Live from last week, available via video or streaming audio. Justin Knipper: After the WALTER match in 2018, when did you realize that this was going to be more than just one show in the year? When did you clear it with your family or discuss your new schedule and what kind of life changes have you had to make? PCO: Well, I had to quit my regular job, which was a pretty good deal. When I knew I’d like to switch was when my schedule started getting pretty full, three dates per week in a month. That’s when I decided to quit the job that I had so I could fully concentrate on pro wrestling and to fully concentrate on the goals I wanted to achieve, the ones that I’ve wanted my whole life since I was 14 years old. And so, I went to my 10 year old daughter and her mom and talked with her grandparents to make sure everything would be ok. The big deal is (her) going to school and to see her whenever I’m available. And on my days off, I’m with her, keeping our relationship the same. Her mom has been great, the family’s been great, and everybody has been pretty cool about when I decided to concentrate on pro wrestling. Some people were skeptical, like I was out of my mind a little bit. But as I was getting more and more intense about it and was getting more and more bookings, I just started to believe in myself and believe in what I was doing. I needed to burn the ships. It’s like if you were in a war and you burned the ships with all your soldiers; it’s either you make it or you don’t make it. There’s no going back and that’s what I did. I gambled everything and we’re in an age where people don’t really gamble that much, so it paid off. JMK: Around which month did you realize it would become pretty serious? PCO: I would say around August. From after Wrestlemania weekend in New Orleans on April 6th, I only had Chicago on the 21st and a show in Montreal. So with the WALTER match, I only had like three other shows in April and then it started to get going in May. I had like ten dates in May, and then by June it was getting full. In June and July, I was doing three to four dates a week, so working pretty much full time from there. April was kind of slow, May was kind of slow, and then in June and July, it was like boom-boom-boom-boom, fully stacked every week. JMK: When did ROH contact you? PCO: It was when I was gone in Germany for a ten day tour in November. Throughout the whole year, they hit me up a few times, but I felt like it wasn’t serious enough for me to get back to them. Maybe they were just trying to see what was going on with me, so I turned a few opportunities down. I don’t want to mention any companies or anything like that as I don’t wanna make anybody look bad or anything, but I turned the two offers down. ROH was asking if I had a contract but nothing more than that, and then it got serious when I was in Germany. So, I signed with them in December. It was a perfect fit for me and I made the right choice. They were really professional with me and really interested in me, and it made me feel the same way toward them. I felt as mutually attracted to them as they were to me, you know, so it was a perfect match for where I was in my career. I really like the way they let their talent express their creative sides. It’s not so much writers writing things for guys, but it’s the guys coming up with ideas and working together with the company. There are some companies who tell you you have to do this or you have to do that, but sometimes you feel it’s not connected to your personality or your values. Sometimes the character doesn’t fit the person or the person doesn’t fit the character. ROH creative really works with the talent and that’s what I like about it. JMK: How about the locker room people behind the scenes in ROH? How does it differ from other territories you’ve worked in the past? PCO: It’s a cool dressing room and a cool atmosphere. So far, I’m very impressed. But, you know, it’s like any place where you start. You’re not gonna be friends with everybody right on the first day. There’s that process where people get to know you, you get to know people, things like that. It’s something that takes a little time, but it’s a good thing for me with ROH because I was already good friends with Marty Scurll from 2008. And I had been on the road almost every weekend for a full year already, so I had seen a lot of Brody King on the road and we worked a lot against each other in MLW at one point, you know, so the chemistry was already there. JMK: Who came up with the idea to put you three together? PCO: I’d say Marty and the ROH creative together. From what I heard, Marty had a lot to say. If you look at top guys similar to the Young Bucks and Cody, a comparison with them is like comparing me to a Lamborghini. You could say which one is the fastest or whatever, but if you compare a tank with a Ferarri, it’s like two different machines. There’s almost no comparison because there are different styles now. I think that’s the coolest thing about (it). It’s totally different. With a non-human like PCO, you gotta have moments during the match where it’s just gonna be a big moment, something special. Instead of a flashy thing, when PCO goes up to the top rope for a moonsault, people are expecting a moonsault … he crushes the first rope, he crushes the second rope, he crushes the top rope, and boom, he goes, he weighs like a thousand pounds, you know? Just landing a moonsault, turning over just at the last second, it’s almost like he’s not gonna make it and at the last minute he switches his body and makes that moonsault, just hit it, and the crowd goes insane, man. And that’s who we are. I mean, the three of us, if you combine all the qualities of the three guys it’s like, it’s...it’s pretty crazy. Pretty sick. JMK: You mentioned you’re doing the moonsaults, the topes, and a lot of the moves that people say are dangerous. Your in-ring style is still in line with how it was in the 90s, but it’s more extreme now. What made you decide to do that? PCO: I had to crank it up a few notches to be with the top guys in the world, to become the best. Maybe not “the best", but you have guys with different styles, power styles, technique wrestlers. There’re so many styles, but the thing is becoming a top draw in this business, drawing people, drawing interest. The Not Human, you know? I think doing other gimmicks before where sometimes you’re doing something pretty crazy, but now, it makes sense not being human. If something big happens to me and I keep on getting back up or keep on fighting they’ll say, “He’s just not human.” Which, a lot of times people will say it’s unnecessary, but if I do it, it’s because I feel it’s necessary, and when I do it, I know there is a reason why it’s happening. I’m the only one who can judge when the time is right or not or whatever timing is right. But one thing’s for sure. It makes the Not Human French-Canadian Frankenstein the perfect character to go with the style that I’ve got now because it all made sense together, whatever happens to me. It was really the perfect fit: the perfect fit with ROH, the perfect fit with Destro and finding that Frankenstein character. It fits me like a glove. JMK: You mentioned Destro. Is he your real trainer? PCO: Yeah, he’s a super genius in real life as far as trainers go, the best in the world. That’s why I give him a lot of credit for my success because I felt like it was the last dream, that my dream was that soon to be realized. It was like the last hope, you know, getting him to train me, to feel his knowledge. He’s so creative and is very, very passionate with every thing he does, almost like an extremist. When I start something, I’m pretty hard (on myself) at everything I have to do to obtain success and he’s pretty much the same way. So, when two brains and two spirits together are working in the same direction without jealousy or anything like that, when everybody is in line with everything they want to do in life, working together with him is a blessing in my life. It was the perfect crossroad when I saw him at the gym and asked him if he wanted to train me and I decided to go for it. And here we are today talking about a lot of great things that were accomplished last year. The beginning of the new year started pretty well and I think it was all worth it to have him as a personal trainer but also as a creator, because he’s the one that came up with the Frankenstein character. It’s pretty cool. JMK: Speaking of training, I heard you have been doing different types of physical training with some martial arts and some gymnastics. What other kinds of training have you been using for the pro wrestling ring? PCO: I’ve done a lot of a lot of Brazilian Jiujitsu but it doesn’t really work out with the kind of monster I am. It doesn’t mean I won’t have a submission hold at one point and that could something to look forward to eventually. I keep on rolling when I do have the time. I didn’t have much time in 2018, but I kept going here and there when I could and I really like it. I did a lot of striking also. I used that a little bit in 2017, a little bit in 2018 and I kind of stopped doing the striking with my kickpads. But I have been using a little more of my kicks and a couple of karate moves I’ve been practicing over the past five or six years. Gymnastics has obviously helped with the moonsault, big time. I don’t know how many I’ve done because I was spending days (training), but like 300 or 500, 600 moonsaults (training) in the last year, I was practicing other things too, but there are things that I do that don’t fit the character that I would really like to do. Crush every rope and boom. That moonsault though, it gets people going. Who knows? There might be some surprises for 2019. I’ll keep doing what works and we’ll see how it goes. JMK: Is there anybody you want to work with this year specifically? PCO: Like I’ve said before, my goal was to wrestle at WrestleMania. I thought Undertaker would have been a good match for me as style-wise, it’s a little bit similar. Putting people into a coffin or casket, and me, I’m sleeping in a casket, so it’s like PCO is coming back from the dead and resurrected, but Undertaker is more like someone that cannot die so I thought there’d be a really good feud there. But going to Madison Square Garden (in April), I feel like I’m right on my goal and right on target. Going back to Madison Square Garden, I have been there many times, maybe, I don’t know, 10 or 15 times, and it’s one of the most prestigious arenas in the world and it sold out in less than 20-25 minutes. And going there with ROH, I mean, I am on a great ship for me with Villain Enterprises. I feel like I’m right there, you know, right on top, at the most prestigious arena in the world.